There are different ways to contribute to Layers of London. You can choose to work individually adding records and collections. You can also work in a team with other people that are also interested in the same topic. You might be a voluntary organisation or organisation with more than one member. You can then work on a collection together. You can also choose to make a open collection. This means you can start a collection on a topic such as 'Medieval Croydon' and then anyone who wants to also contribute to this collection so this becomes a open collaborative collection. 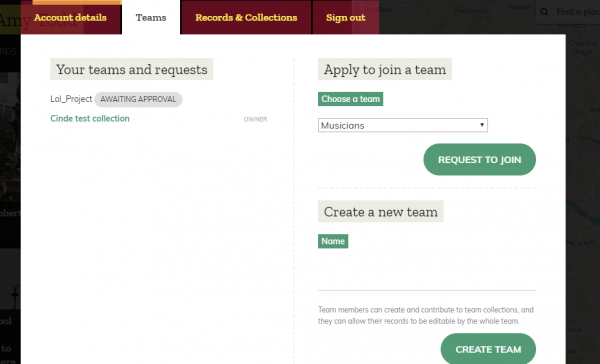 Here you have the option to see what teams you are in, you can apply to join teams that are open to collaborative working or you can create a new team. 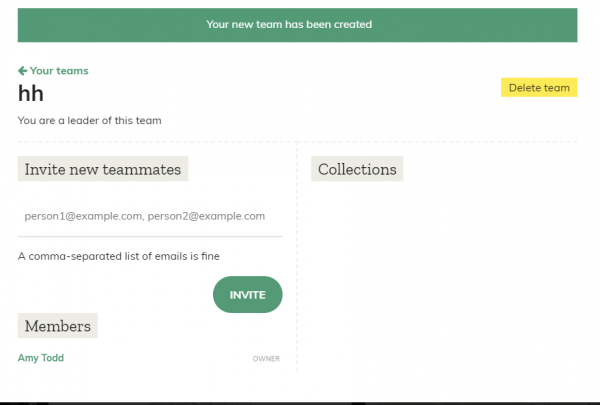 From here you can invite team-mates to join you via email.